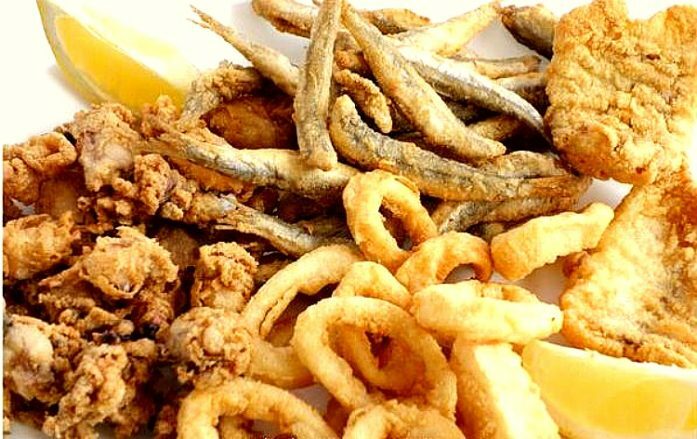 The fried fish is a tradition of southern Spain. Cádiz, Málaga and Huelva are the most famous provinces where to eat it. It is a very old tradition that consists of frying certain fish of the area in olive oil. The species most used for this dish are the choquitos, the squids, the acedías, the boquerones or the dogfish. The fried fish is eaten freshly made and served with lemon wedges. One of the most visited places to try this typical dish is the “Las Flores” Freiduría in the capital of Cádiz. In Conil there is also a very recommended bar to try this dish called “Juan Mari”. In addition to these bars there are many more where to eat fried fish and other typical dishes. In Villas Flamenco we offer you a great variety of accommodation so that you can enjoy the gastronomy of Cadiz and the good weather.